Hiking in the Fiery Furnace, a mind boggling adventure into a maze of narrow sandstone fins and disorienting passage ways, requires skills just short of acrobatics to navigate and explore. 5 hour guided tour through the Fiery Furnace. 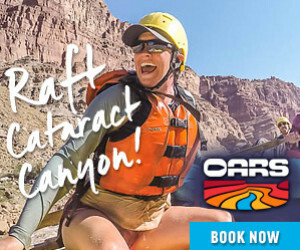 See remote arches & slot canyons from experienced guides. 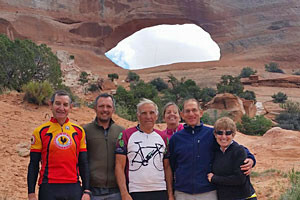 The Fiery Furnace is a great family adventure. Take a guided tour from March through October or get a permit and explore on your own. Check out the Fiery Furnace Video. Fiery Furnace is an absolute must see in Arches National Park. A ranger guided tour will take you into the trailless region, where you will navigate narrow ledges, scramble up rock faces, brace against the sandstone walls to push yourself off the ground, and squeeze through narrow passage ways. Striking off alone into the labyrinth is a sure fire way to spend the day wandering aimlessly within the sandstone maze. You must obtain a permit from the visitors center or sign up for a guided tour to access the area. 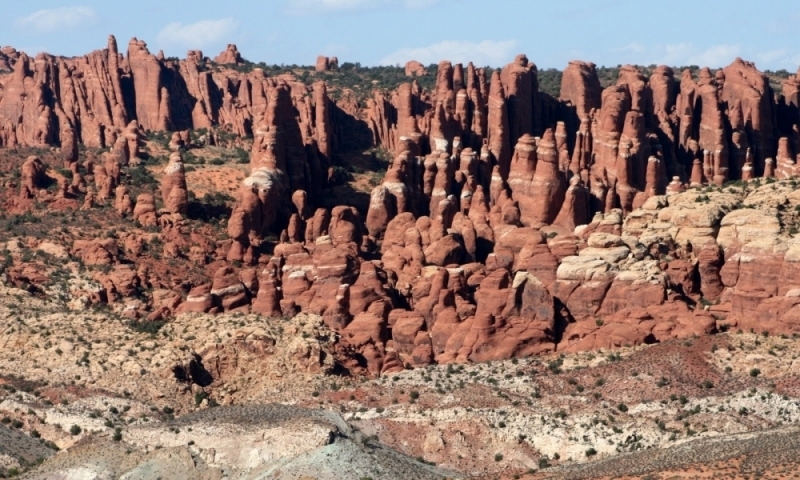 The Fiery Furnace Trail Head is 14 miles from the park entrance along the Scenic Drive. Ranger guided tours are available from March through October (twice daily) and last about 3 hours. Tours are limited to 25 people. Also, due to the popular nature of the hike, it is extremely rare that any tickets are available at the Visitor Center during the busy season. 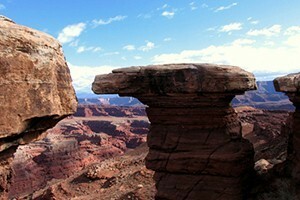 We recommend that visitors reserve their Fiery Furnace tickets online through www.recreation.gov. Reservations must be made at least 4 days before the tour, but the truth is that tours often fill weeks in advance. If you wish to explore the trail on your own (any time of year), you must obtain a permit from the Visitor Center. Due to the confusing nature of the hike, all participants must finish once they have begun. The hike is considered moderately strenuous to strenuous and lasts at least 2.5 to 3 hours. Each individual must bring at least one quart of water and a backpack to carry gear. Wear sturdy hiking boots or shoes with gripping soles. No open toe or high heal shoes are permitted. Children under the age of 5 are not permitted. Parents must supervise their children at all times. Note: The Fiery Furnace Viewpoint has pit toilets, but no potable water. Make sure you bring your own water.